Book cover design is very subjective – there are few hard-and-fast rules. Achieving a great book cover design is entirely subject to the circumstances of a specific book. A book’s team (author, designer, publisher) have to weigh all of the considerations, and come up with what works for that particular book. The priorities and emphasis can and will shift with different books, and its specific marketing goals. That said, the main things you need to keep in mind regarding a book cover (those considerations you need to weigh) are the same each time. It’s just the answers that will change. Does it fit the content and tone of the book? Does it need to fit visually within a series? Does it need to fit in with a visual style you’ve already established as an author? If you’re having depictions of characters or events from the book on the cover, do they actually match up to what’s in the book? If the tone of writing is humorous, the cover should reflect that. If you have a character on the cover that is redheaded in the text, don’t have them appear with black hair. If you go into detail in the text regarding a specific scene’s setting or the general landscape, make sure your cover artist knows those details and sticks to them. If your nonfiction title is ambiguous, make sure the cover reflects the actual content to provide clarity. These seem like common sense, but the fact that I can easily point out instances where these weren’t followed is cause enough to bring them up. Does it appeal to your target readership? Does it fit within what the audience expects of the genre (with some wiggle room)? The design for a history book aimed at older male readers is going to be much different than the latest YA teen girl read. Yes, there is a certain amount of stereotyping that goes into this. And yes, people outside of a specific audience can still read your book. But we have a saying in the design world: if you try to please everyone, you’ll end up pleasing no one. You have to pick a marketing focus, and run with that, or you’ll just be awash in conflicting and ineffective messaging. There are exceptions to every standard as far as audience and genre, but the successful ones started from a place of knowing both of those well, and cut a different path from there. They didn’t just ignore them. You can’t push the boundaries of what your audience will tolerate unless you know who that audience is. There’s something to be said for just the pure pleasure of a book as an aesthetic object. The artistry of a book is not limited to cover design alone- if it’s a physical book, artistry can also be expressed through specialty inks, edge effects, layered covers. These are all more expensive, true, but do help a book stand out. Also: please, please, please don’t just take what another successful author has done and copy it. A) everyone will know you copied. B) That’s really a disservice to your book. You put a lot of hard work into your writing, it deserves a cover tailored specifically to it. If you miss Appropriateness, you’re misleading readers. This is the worst offense, it will confuse or anger buyers. If you miss Audience, you’re losing sales and readers. Understandably not good for you in the long run. 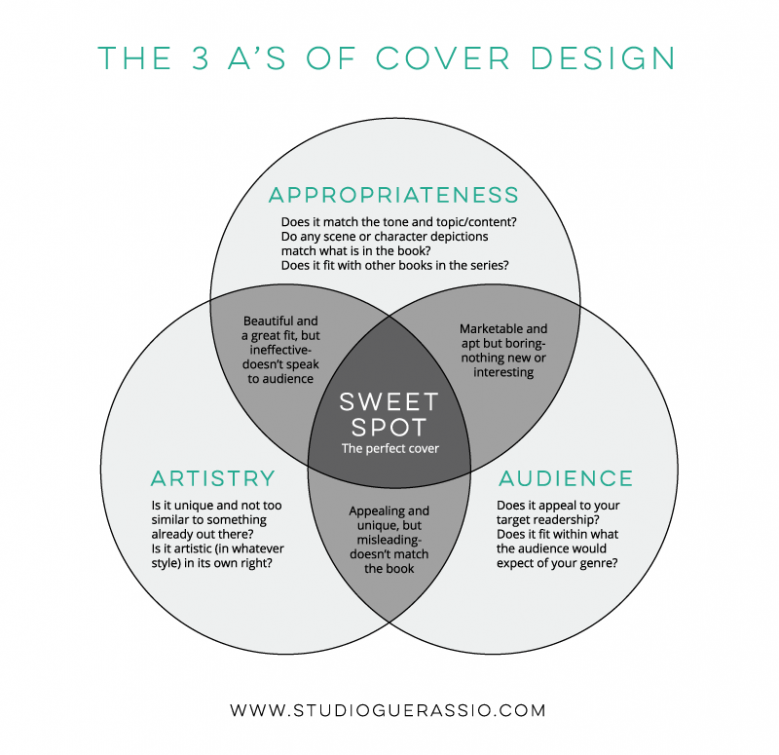 But keep these three A’s in mind, and try to hit all of them, and you should end up in the sweet spot: the perfect cover for your book. Want more questions to spark new ideas for your book cover design? 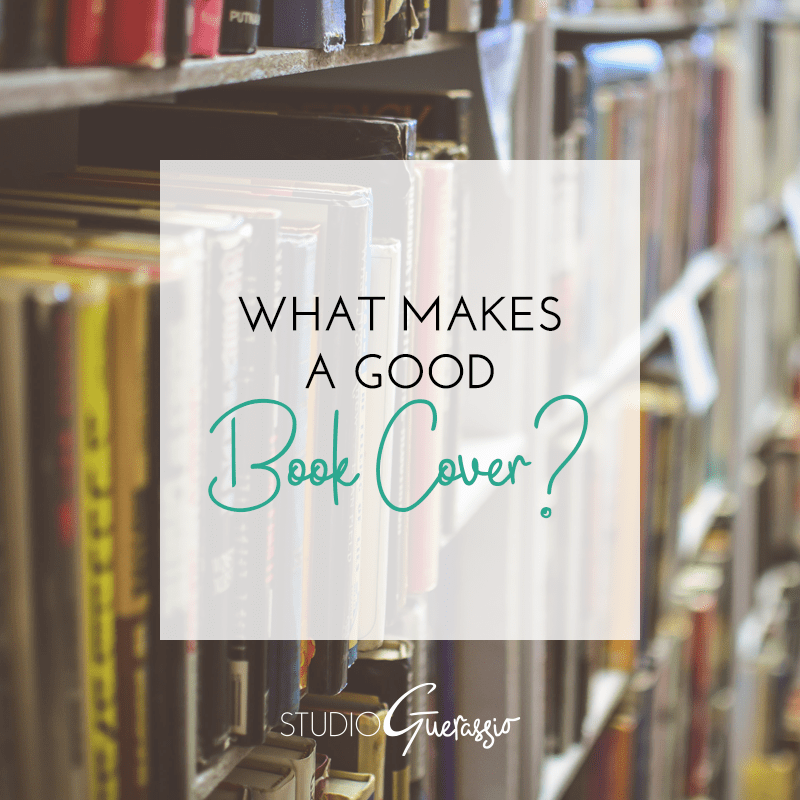 What do you think makes a great book cover? Was it covered by one of these A’s? This is a brilliant post! I’m going to plaster it all over my writing group’s Facebook group.